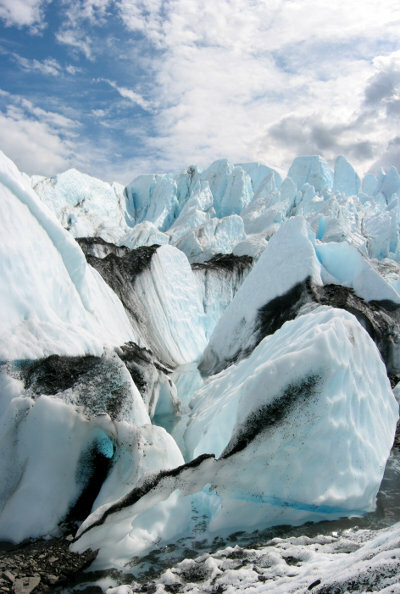 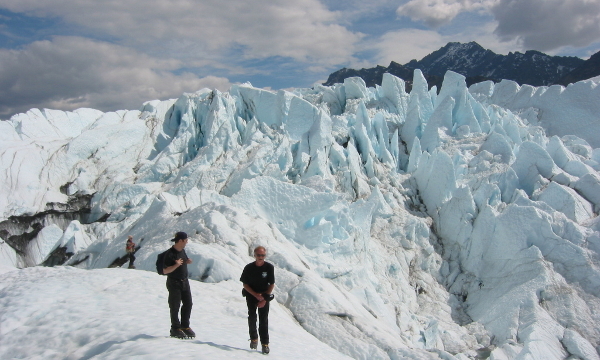 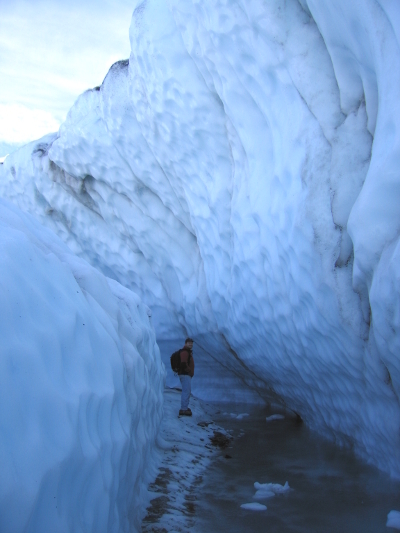 Nestled in the breathtaking Chugach mountains, Matanuska Glacier is "The largest glacier accessible by car in Alaska". 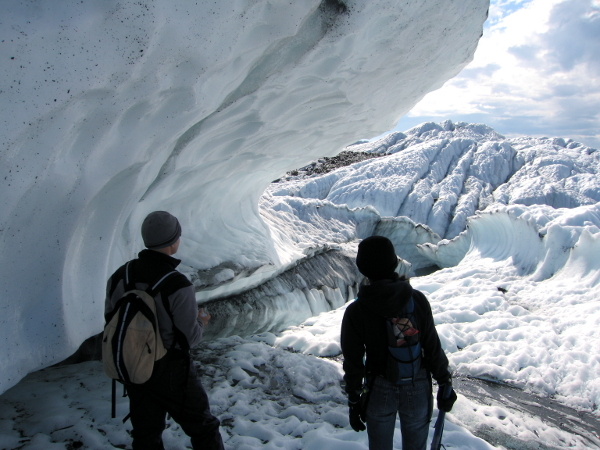 The scenic hour drive from Raven Acres on the Glenn Highway makes it an easy day trip. 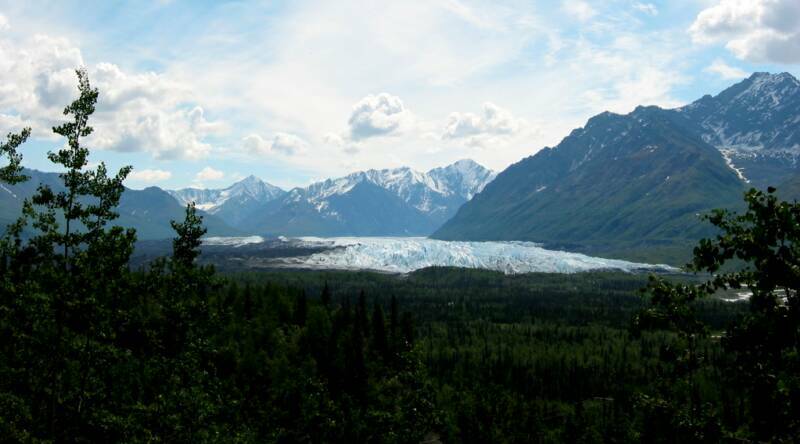 The Matanuska is a beautiful valley glacier twenty four miles long and four miles wide decending twelve thousand feet to the terminus. 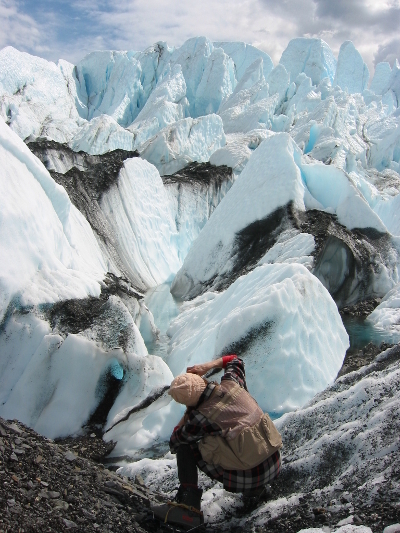 A must for any adventurer, cramp ons and ice axe preferred but not necessary.